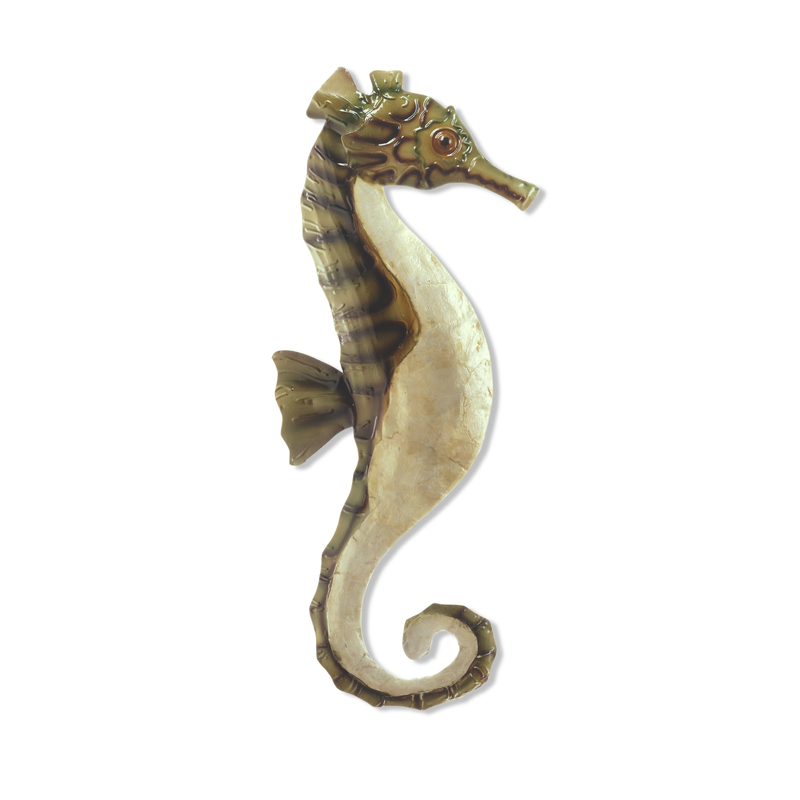 The seahorse has captured the minds and imaginations of people across all cultures for thousands of years. Seen as a symbol of good luck, strength and safety, this unique and beautiful animal is as charming as it is mysterious. 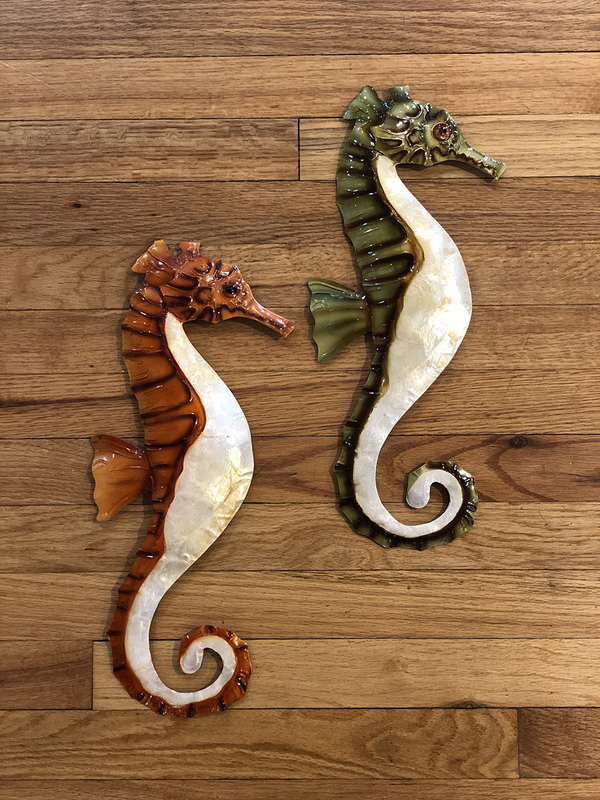 The artist captures the beauty of the seahorse with a raised fine, high shine, hand-painted finish, and elegant mother of pearl chest and forefront. 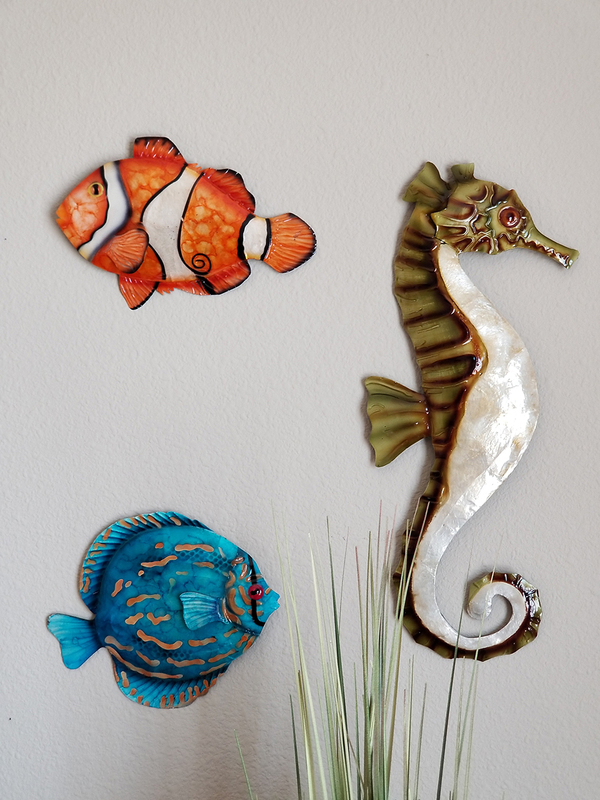 The basic frame of the wall seahorse is created using tin, which is powder coated as a black finish. Capiz is an oyster shell and the primary purpose of the oyster is as a source of food. However, the by-product, the shell, can be used for decoration. Due to it being a natural material, the natural colors of the capiz can come through as tans and browns.